Juventus have been given a huge boost, as their potential transfer target reportedly wants out of Barcelona. 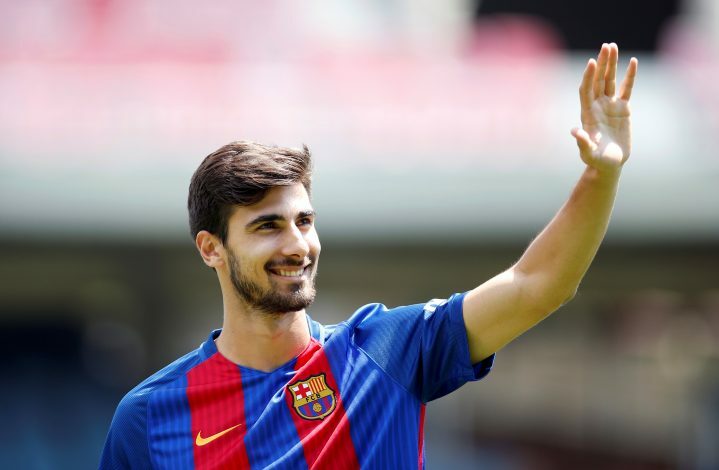 It seems highly likely that Andre Gomes might be on his way out from the Camp Nou sooner rather than later, as the midfielder wishes to leave the Catalan giants. Barcelona purchased the 24-year-old from Valencia only last season, but the midfielder has had a tough time at the club. He has failed to emulate his performances from Valencia or the Euros, which had actually prompted the Blaugrana to bring him aboard. And now, after a largely unproductive season, the Portuguese is eyeing for a possible escape route. Corriere dello Sport understands that Gomes himself is looking to leave Catalonia, and the purchase of Paulinho is also being seen as a possible factor that further facilitated the midfielder’s decision. However, this news spells gold for the Serie A champions, who are reportedly planning a loan move for the midfielder should he choose to make a move away from the La Liga outfit.